We ask that you RSVP to Maxine at maxine.c@comcast.net by April 15th so we may ensure a hearty continental breakfast for all, sponsored by the Sustainers Fund. Proposal: The post-graduate membership committee proposes annually a specific post-grad membership event that is integrated into the ALA/COSM meeting. Advisors to post graduate membership committee: Dr. Peak Woo, Dr. Michael M. Johns III, and Dr. Lee Akst. Foster young physicians in making further advancements in the field of laryngology. Encourage maintenance of an elevated level of clinical and scholarly achievement in Laryngology.  Educational content and materials – With the strong support and guidance of the ALA Council and ALA Educational Advisory Committee (EAC), we’re going to refresh and create educational content (Laryngology Curriculum) as well as patient education materials (Voice Problems) for the ALA website. If we expecting full participation by the PG Members towards this common goal. If interested in writing for this project, please e-mail Lee Akst (LAKST1@jhmi.edu), Jonathan Bock (jbock@mcw.edu), Dinesh Chhetri (dchhetri@mednet.ucla.edu), or Michael Johns (Michael.Johns@med.usc.edu).